This article is courtesy of Project AWARE. Scuba divers have clocked up a jawesome 700km swimming to end finning as part of Project AWARE’s global Finathon. This weekend PADI Asia Pacific is supporting the Manly Finathon to boost the global fundraising total over $60,000 for shark protection. PADI Vice President Jeremy Coleman will join 12 swimmers at Shelly Beach, Manly for a 1km ocean swim. Swimmers include the Project AWARE team Hannah, Debbie and Joanna. Tom, Alison and Clare will represent PADI braving 17 degrees ocean temperature to swim for sharks. Prizes generously donated by Scubapro and Deck Bar, Dee Why for swimmers who raise the most. “Over the last 3 months we’ve watched 154 Finathon Champions, 40 teams and 50 children under the age of 10 swimming to end finning and we’re looking forward to finally jumping in the water to swim,” said Joanna McNamara, Project AWARE. The Shelly Beach event starts at 11am and includes a sausage sizzle fundraiser. 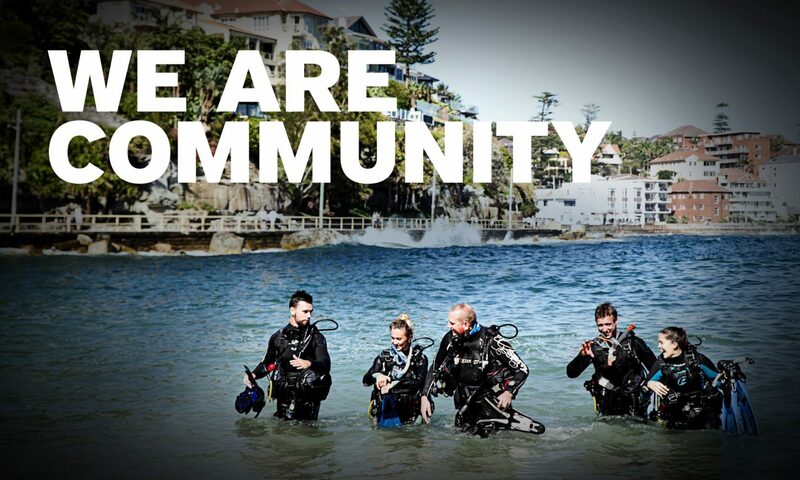 Thirty people are expected to attend including PADI Regional Managers from Asia Pacific in Sydney for a conference. The challenge is on for the PADI Regional Managers typically used to warmer water to brave the cold Sydney surf and swim on the day! PADI Instructor Examiner George Wegmann and his son Walther enjoyed a dive at Shelly Beach just last week. “Cabbage Tree Bay Marine Reserve off Shelly Beach is simply amazing. There aren’t many capital cities in the world where you can see Port Jackson sharks, wobbegongs, blue gropers, trevallies, giant catfish and squid just off the beach,” said George. Photo Credit George Wegmann: Port Jackson Shark Resident at Shelly Beach!